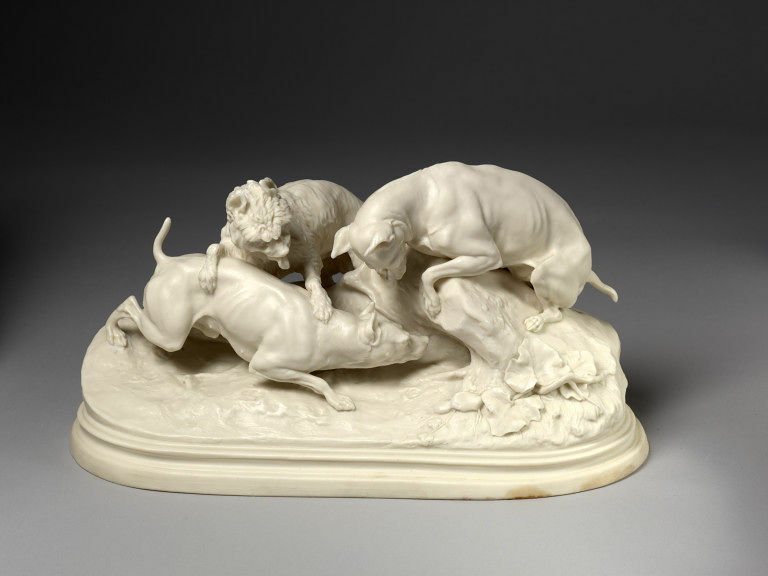 Unglazed 'Parian' porcelain figure group consisting of three terriers, two of which are smooth-coated, the thrid with longer, curly hair, who are scrambling over each other to look down a rabbit hole. Ivy leaves grow on the surrounding bank. The whole group is modelled on an oval plinth. 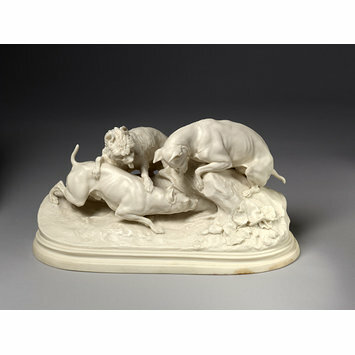 The wax model on which this porcelain group was based was exhibited at the Exposition Universal in Paris in 1855. A bronze cast from the model was shown at the Paris Salon in 1872.